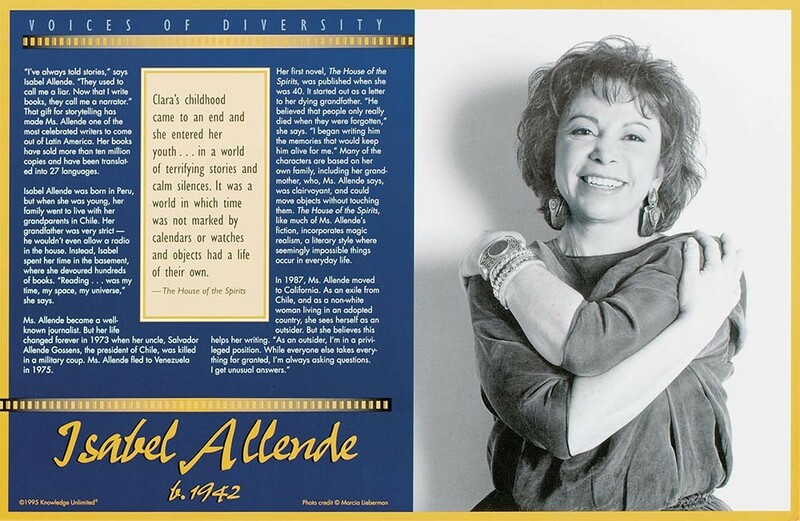 This educational poster of Latino writer Isabel Allende features a striking photo of the author, along with an excerpt from "The House of Spirits," and biographical text summarizing her life and work. Isabel Allende is one of the most celebrated contemporary Latin American writers. Much of her writing, including "The House of Spirits," incorporates magic realism, a literary style where seemingly impossible things occur in everyday life.